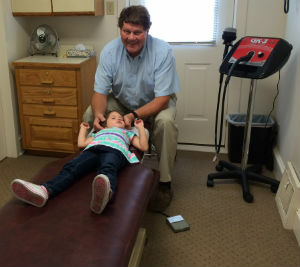 Dr. George Schreppler began practicing in 1978 and opened Schreppler Chiropractic Offices P.A in 1980. He provides traditional chiropractic care for northern Kent County and lower Newcastle County. Many patients seek our help to receive maintenance care to continue their good health. Others visit our office because they’re in pain and want to get out of it, quickly and effectively. From families with young children to retirees or athletes, chiropractic offers an alternative way to treat many common problems. Chiropractic care represents more than a solution for the current ache or pain you have. Most people who try chiropractic for even just a short time realize that they feel better than they’ve felt in years! Chiropractic can help your general health, boosting your immune system and allowing you to be more active. At Schreppler Chiropractic Offices P.A, we believe wellness is the future of health care. Doctors prove themselves by their outcomes, and Dr. George works tirelessly to give his patients the results they desire. His long experience as a chiropractor includes knowledge on a wealth of different techniques. Dr. George works with many area medical doctors who know him by his successful reputation in the healing community. Don’t wait for disease to happen — prevent it from occurring! Contact us today to schedule your appointment.